Update Your Ventura Home's Landscaping! Landscaping is one of the best home improvements you can make to increase it's value. It can increase its value by 5 to 11%! The best part is that it is also an easy improvement to make! And, with spring approaching, now is the perfect time in Southern California to start making some updates to your yard. Here are some great landscaping tips for you to increase the property value of your Ventura home! You want to make sure that landscape design compliments your home. What is the architectural style of your home? If it is more modern or industrial, add lots of greenery that contours to the lines of your home. For older style homes, think of designs that will blend well and give more of a country feel. Always start off with a plan. 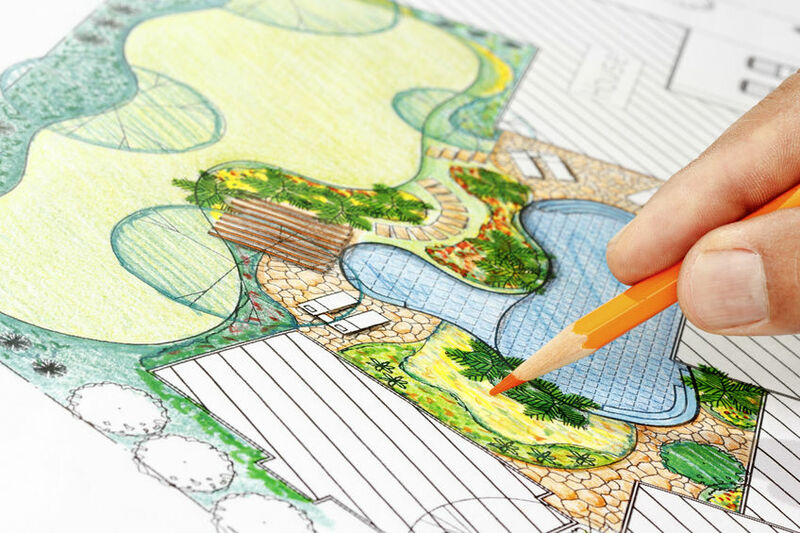 This will ensure that you have the best landscaping design for your home. You don't want to do too little or too much. Do not clutter too many plants in a particular area. Make sure to have lots of diversity in your plants to make it interesting but still uniform. We do not experience much seasonal change in southern California but there are plants that thrive best at different times of the year. Keep your landscape looking its best every time of year and match it to the seasons. Bright florals are great for spring, lovely beds are perfect for summer, autumnal colors add a feeling of fall, and evergreens can put you in the holiday spirit for winter. A couple of trees can actually increase the sale price of your home. They help add some welcome shade for you and your home, improve the air quality in your area, and are a great relaxing spot in your yard. Always have edging along your garden beds, sidewalks, and driveway. This along with a well maintained lawn help showcase the care you take in your home. It is also easy to maintain by keeping weeds at bay. Of all improvements to boost home value, landscape is one that will get you the largest return on your investment. Just make sure that you design your landscape with a plan, and don’t let that design become so complex that the mere thought of all the maintenance chases away your buyers. Enjoy a great return on investment by landscaping your Ventura yard today. For more great home owners tips, visit our website at http://www.blakemashburn.com/.